Standard Commode by AMG is designed for those with mobility issues. Made up of a lightweight aluminium frame. 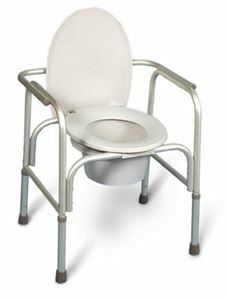 Offers excellent value of the standard commode. Seat can be adjusted based on the need of the user. Comes with a 9.5 lit bucket and a lid. Can hold weight upto 250 lbs.